朱璐, 燕霞, 代科, 王正皓, 赵玉佳, 杨振, 文心田, 曹三杰, 黄小波, 伍锐, 赵勤, 文翼平. 稳定表达SLAM受体的Vero和BHK21细胞系的建立及其对犬瘟热病毒分离效果的比较[J]. 畜牧兽医学报, 2018, 49(6): 1212-1221. ZHU Lu, YAN Xia, DAI Ke, WANG Zheng-hao, ZHAO Yu-jia, YANG Zhen, WEN Xin-tian, CAO San-jie, HUANG Xiao-bo, WU Rui, ZHAO Qin, WEN Yi-ping. 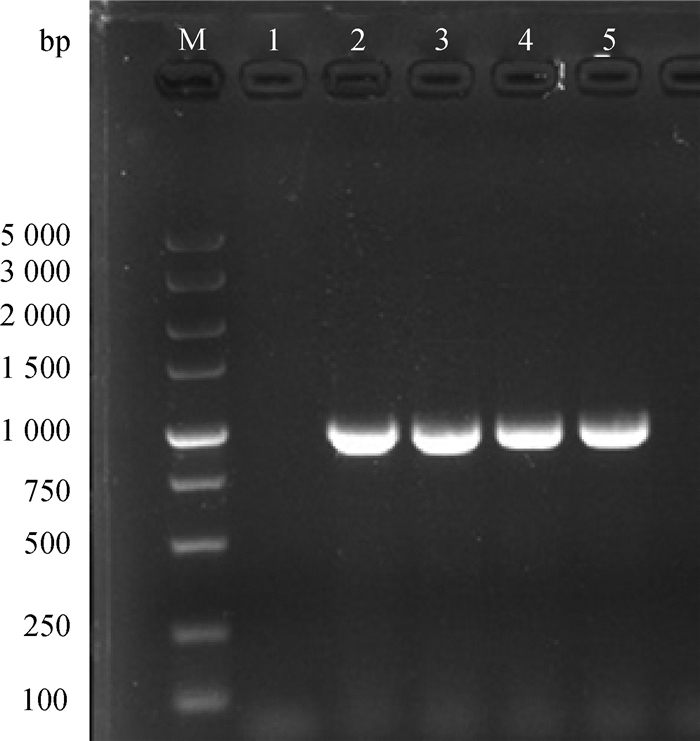 Establishment of Vero and BHK21 Cell Lines with a Stable Expression of Canine Distemper Virus Cell Receptor SLAM and Comparison of Their Effects on the Isolation of Canine Distemper Virus[J]. Acta Veterinaria et Zootechnica Sinica, 2018, 49(6): 1212-1221. Abstract: The objective of this work was to establish a SLAM-Vero cell line and a SLAM-BHK21 cell line that stanbly expressing SLAM receptor, and then to compare their sensitivities to the canine distemper virus (CDV) wild strains, aiming at providing another tools for the rapid isolation of CDV for further study. The eukaryotic expression vector Pcag-SLAM, which contains the SLAM gene, was transfected into the Vero cells and BHK-21 cells, respectively. Then the cells which harbor the SLAM gene were subsequently screened with G418 combined with end point dilution, RT-PCR, immunofluorescence assay, and Western blot. 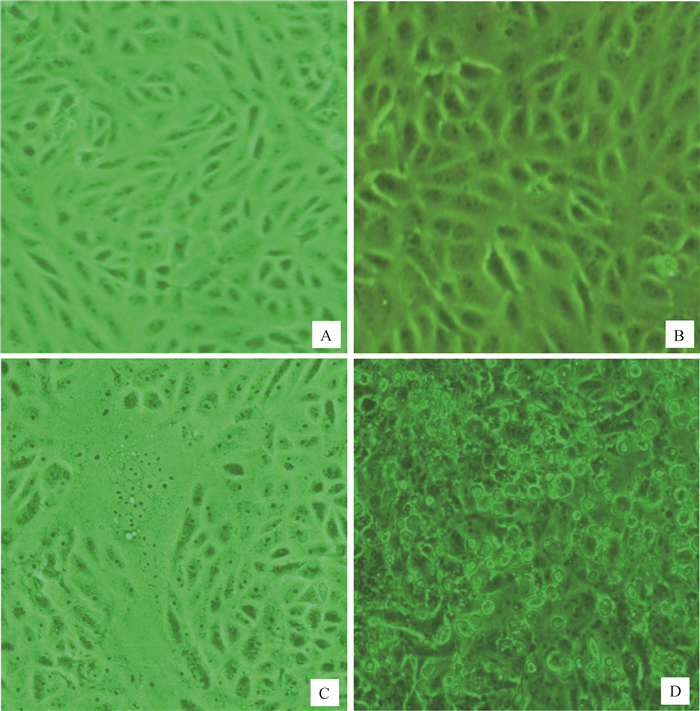 The two cell lines were subsequently applied to isolate virus from 5 different tissues in 3 clinical cases. 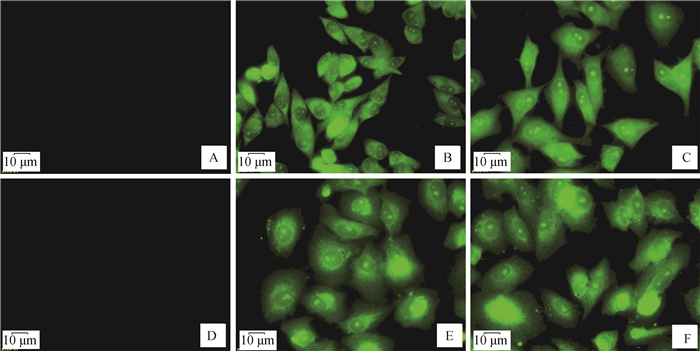 The isolated CDV was further identified by RT-PCR and Indirect Immunofluorescence assay. The results showed that the SLAM-Vero cells lines and SLAM-BHK21 cells lines were constructed successfully. SLAM-Vero inoculated virus for 12-24 h presented a typical CDV-induced cell fusion of CPE. By using SLAM-Vero cells, two strains of CDV were obtained from three CDV positive canine lungs and spleens, while SLAM-BHK21 cell lines, parental Vero cells and parental BHK21 cells failed to isolate the virus. The results indicated that CDV was more readily to replicate and proliferate in SLAM-Vero cells and easier to produce visible CPE than that in SLAM-BHK21 cells. Canine lungs and spleens are more ideal candidates for isolation of CDV when using the newly established SLAM-Vero cell lines in this report. 岳进华, 刘鹤媛, 周铭, 等. 大熊猫犬瘟热病毒LG株的分离鉴定[J]. 动物医学进展, 2016, 37(10): 60–63. 蒙学莲, 窦永喜, 朱学亮, 等. 小反刍兽疫病毒血凝素蛋白与受体蛋白SLAM的相互作用[J]. 畜牧兽医学报, 2014, 45(3): 426–433. AVERSA G, CHANG C C, CARBALLIDO J M, et al. Engagement of the signaling lymphocytic activation molecule (SLAM) on activated T cells results in IL-2-independent, cyclosporin A-sensitive T cell proliferation and IFN-gamma production[J]. J Immunol, 1997, 158(9): 4036–4044. ROMERO X, MARTIN M, ZAPATER N. Expression of CD150 on human leukocytes. Production and characterization of a new CD150 monoclonal antibody[J]. Original, 2001, 20(2): 57–66. 苏建青, 褚秀玲, 马秀亮, 等. 稳定表达犬信号淋巴细胞激活因子基因细胞株的建立与鉴定[J]. 安徽农业科学, 2012, 40(14): 8077–8079. 黄娟, 王聪, 张洪亮, 等. 水貂犬瘟热病毒受体——信号淋巴细胞激活因子的细胞定位及组织分布[J]. 畜牧兽医学报, 2014, 45(2): 289–294. 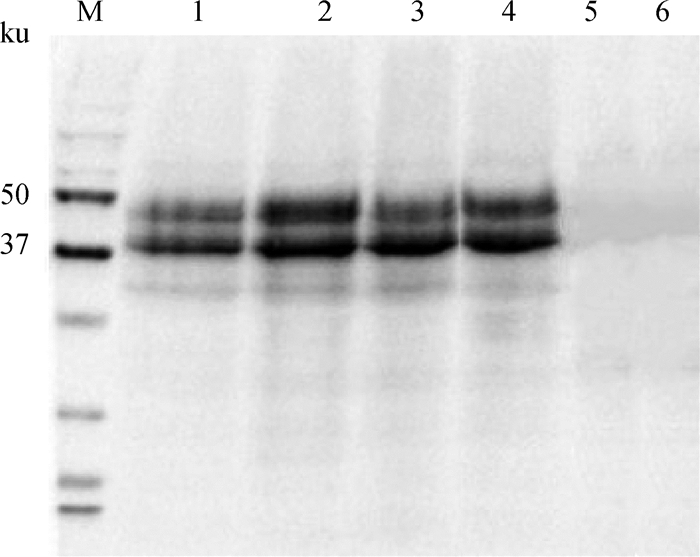 ROCKBORN G. An attenuated strain of canine distemper virus in tissue culture[J]. Nature, 1959, 184(S11): 822. METZLER A E, HIGGINS R J, KRAKOWKA S, et al. Virulence of tissue culture-propagated canine distemper virus[J]. Infect Immun, 1980, 29(3): 940–944. SATO H, YONEDA M, HONDA T, et al. Morbillivirus receptors and tropism:Multiple pathways for infection[J]. Front Microbiol, 2012, 3: 75. QIAO J, MENG Q, CHEN C, et al. Characterization of a new dog isolate of canine distemper virus from China[J]. Acta Virol, 2011, 55(4): 303–310. 赵建军, 闫如勋, 张海玲, 等. 稳定表达貉犬瘟热病毒细胞受体SLAM的Vero细胞系的建立及应用[J]. 微生物学报, 2012, 52(12): 1515–1523.